A native of Argentina, Gerardo Edelstein, has conducted symphony orchestras, choirs, ballet and opera in Europe, Asia, South America and the United States. Critics and audiences alike have hailed his performances as powerful, profound and exhilarating. Mr. Edelstein joined WSO as music director/conductor of the Williamsport Symphony Orchestra in 2010, and under his leadership, the orchestra has reached new artistic heights. In addition, Mr. Edelstein is director of orchestral studies, music director of the Philharmonic and Chamber Orchestras and artistic director of the Music at Penn’s Woods summer festival at the Pennsylvania State University. Maestro Edelstein has guest conducted the Israel Sinfonietta and the Israel Kibbutz Orchestra in Israel, the Bohuslav Martinu Philharmonic in the Czech Republic, the Kharkov Philharmonic in the Ukraine, the Tucuman Symphony Orchestra and Choir and the Symphony Orchestra of the Universidad Nacional de Cuyo in Argentina, the Houston Chamber Orchestra, the Houston Ballet, the San Antonio Metropolitan Ballet, the Pennsylvania Chamber Chorale and Orchestra and the Kalamazoo and San Antonio Symphonies in the United States. In the summer of 2004, Mr. Edelstein was invited to guest conduct in the first international orchestra festival in Dublin, Ireland. Most recently, he guest conducted at the festival Recontres Musicales Internationales des Graves in France, and future engagements include concerts in Israel and Brazil. With the Penn State Philharmonic Orchestra he toured Spain and performed at Carnegie Hall in New York, Kimmel Center in Philadelphia and Heinz Hall in Pittsburgh. For the fiftieth anniversary of the Penn State College of Arts and Architecture Mr. Edelstein conducted a full production of Leonard Bernstein’s “Mass,” a collaborative effort between the school of music and school of theatre. In Israel he was principal conductor of the Jerusalem Oratorio Choir and Orchestra with whom he appeared on radio and television and toured throughout the country performing the masterworks of the choral-symphonic repertoire. 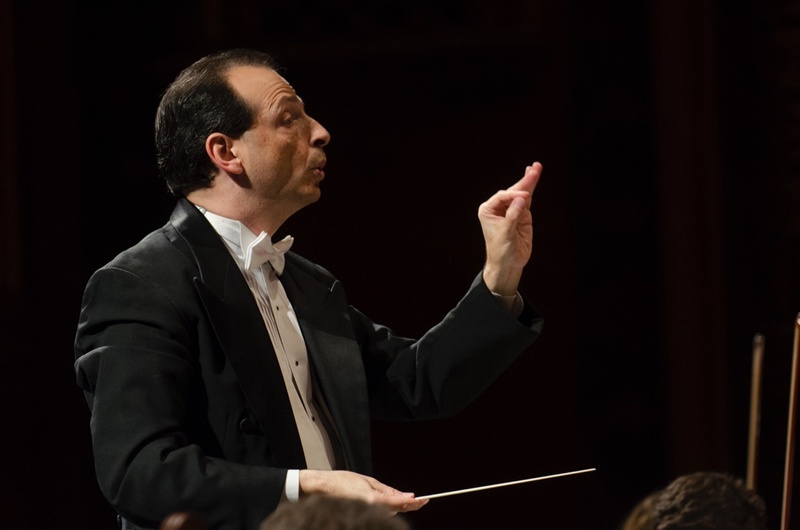 In the United States, Maestro Edelstein served as assistant conductor, associate conductor and music advisor for the Richmond Symphony in Virginia for three seasons, conducting a variety of performances including several subscription series. Under his leadership, the Symphony won first prize in the year 2000 for innovative music programming awarded by the American Society of Composers, Authors, and Publishers. Committed to the education of young musicians, Mr. Edelstein was conductor of the San Antonio Youth Orchestra for three seasons and served as clinician and guest conductor for many orchestra festivals in Virginia, Michigan, Texas, Vermont, New York, Colorado and Pennsylvania. He has collaborated in side-by-side concerts with the San Antonio Symphony and the Pittsburgh Symphony. Maestro Edelstein has given masterclasses and conducting workshops in the United States as well as the Catholic University in Buenos Aires, Argentina, Bordeaux, France and Istanbul, Turkey. Gerardo Edelstein graduated with high honors from the National Conservatory of Music in Buenos Aires in Piano and from the J. J. Castro Conservatory of La Lucila in Choral Conducting. He continued his conducting studies in Israel at the Jerusalem Rubin Academy of Music where he won the Leonard Bernstein Conducting Scholarship awarded by the American/Israel Cultural Foundation. In the United States he received a master’s degree in orchestral conducting from the Shepherd School of Music at Rice University. His teachers included Mendi Rodan, Helmuth Rilling and Larry Rachleff, among others.